The Elf hosted their penultimate home game of the season this week against Sportsman CC who they lost to in their opening fixture. Rob Hewlitt won the toss and decided to bowl on what was a damp track on an overcast day. Without the usually reliable Dave Stephens to open up proceedings, Hewlitt turned to Dan Armstrong and Tom Davies but they were in for a bit of a surprise from the Sportsman opening batsman. Kris Ali was taking no prisoners today. The Sportsman opener who moonlights in the Caribbean over the winter smashing boundaries, put the two usually strong openers to the sword. Swashbuckling his way to the team being 93-0 after 8 overs. Even Dan Dunn who replaced Davies after he was dispatched to the boundary on several occasions, could not break the dead lock. Ian Chuck and Chris Hall became the 4th and 5th bowlers before the overs tally had reached double figures but they proved their worth showing all their experience and class by limiting the opposition and most importantly, delivering some wickets. Chally, managed to dislodge ‘Vijay’ for 23 in his second over but Ali was still going along nicely. After a maiden by Chuck, Hall steamed in for his third over and produced the prize wicket. The ball pitched on a good length and just nipped back a touch and cannoned into Ali’s pads, Hall turned around to the umpire and with the other eleven Elf members raising the decibel level beyond recognition, the umpire had no choice but to raise the finger. A sensational moment in the match which got the lads back in. A report from Monday evening’s ‘Midlands Today’ suggests that windows were shattering in the Aldridge area approximately 2.30pm due to high decibel levels. Davies and Dunn were brought back on and delivered with three more wickets. The away side’s number 3 was run out by Alex Nunns who stayed calm under pressure and casually knocked the bails off from a close range instead of panicking and shying from further away. Davies dismissed Khan for a quack and Dan Dunn got S Mangat caught on the boundary by Dan Armstrong 4 runs shy of his 50. 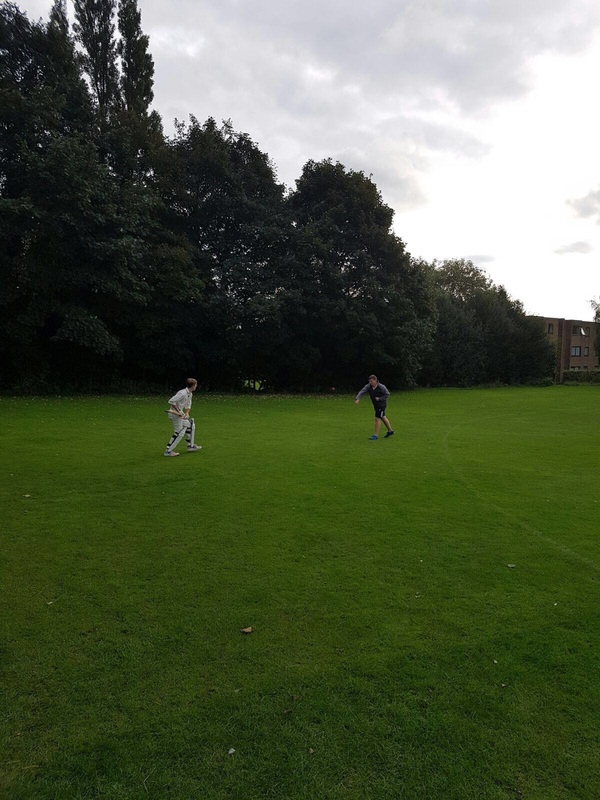 JP returned to action and duly delivered a long overdue wicket when he picked up Patel with the score over 200 after a good catch from Chuck at long off. The next 4 overs belonged to man of the match Chris Hall. Hall picked up the Elf’s first ‘Michelle’ (five-for) of the season by bowling two more batsman and picking up another prized LBW not quite on the same level as the first but a five wicket hall none the less. Chall finished, 8 overs, 0 maidens, five for thirty-eight. BIG HAND. Off the last ball of the innings some village fielding by Davies allowed the side from Harbourne to creep over the 250 mark. 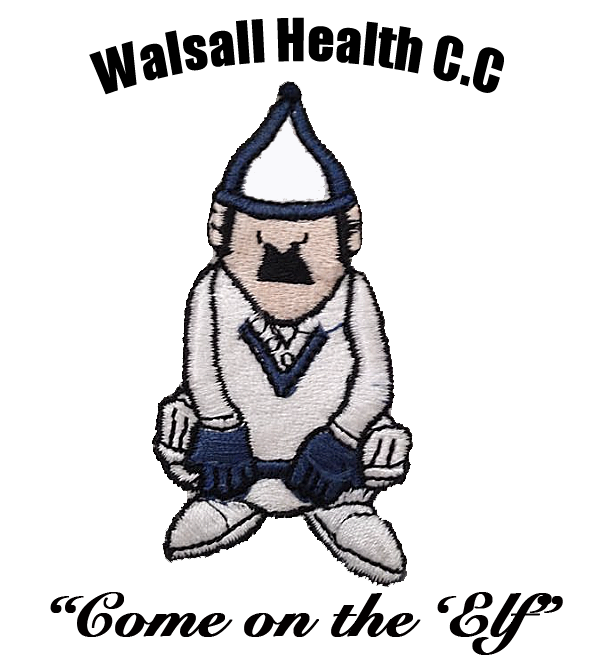 The Elf began their chase with Chuck and Nunns setting a solid start, at one point in the fifth over when the rain began to fall they were ahead on Duckworth Lewis! Nunns was the next to depart for a well made 29. After seeing off a lot of deliveries from Kris Ali who was bowling at some lick. Andy Carrick playing his second game for the Elf produced a solid knock at number 3, also seeing off deliveries from a sharp bowler and not giving the opposition many chances. Nathan Reeves played two outstanding defensive shots to Ali but the first ball of his next over was an absolute jaffa and dislodged his bails, no shame in getting out to that. Skipper Hewlitt was next in and pushed the run rate on a bit and scored a quick time 21 before he chipped Sohail to mid off playing a knock down 9 iron when he should have got the 7 iron out and found the green, instead found the hazard. Andy Gorton was in at 6 and made nine before Chuck sought revenge for his dismissal and triggered Gort . Chris Hall was in at the all-rounder’s position of 7 and unfortunately played on to Khan for a duck. Jonathan Preece joined the solid Carrick whose knock went a long way to becoming Chris Hall’s new favourite member of The Elf with a few expert forward defensive strokes. Chall was seen nodding his head and miming a perfect block whenever the Yorkshireman’s name was mentioned. Unfortunately Carrick was bowled for a well made 15. Dan Dunn managed to get off the mark and played the shot of the day, a lofted drive through the covers for four. JP was dismissed LBW for 3 and Tom Davies, big bat in tow slogged his way to a run a ball 7 before Dan Dunn had the most ‘village’ moment of the day when with the penultimate ball of the match, he charged down to Vijay who was attempting an leg spinner. Vijay didn’t manage to pitch the ball on the cut strip but Dunn somehow spooned the ball to point for the easy catch. One word….VILLAGE. Dan Armstrong finished with a strike rate of 200.00 after putting his outside edge to good use in the final ball. Not before he had taken all his kit off thinking he was not required to bat…..VILLAGE. The Elf came back tremendously after being battered for the first 10 overs or so and showed they never give up any cause. They play their final home game next week against Lapworth. Shower Club update – Only a disappointing 6 for shower club this week with skipper Hewlitt providing some Cracked Black Pepper ‘Original Source’ to freshen up the lads’ weary bodies.